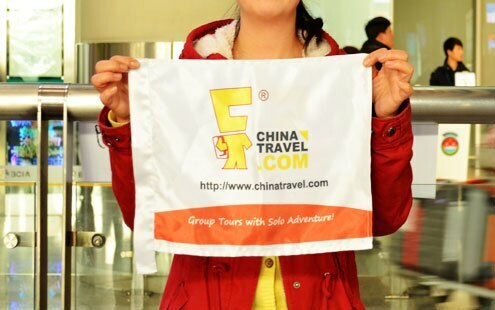 Sites in this tour truly present what foreigners think of a real ancient China looks like. 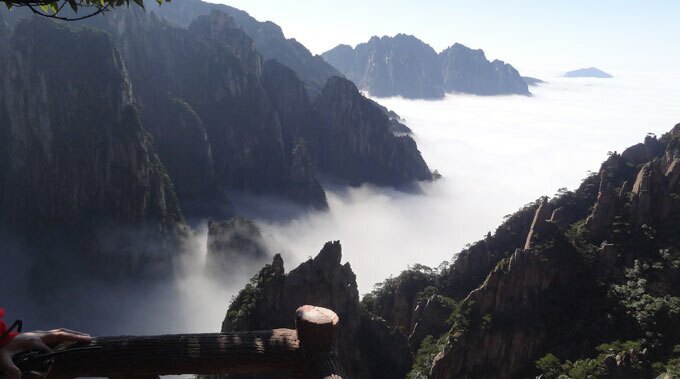 Explore the most famous mountain in China – Yellow Mountains(namely Huang Shan, 黄山) for its unique oddly-shaped peaks, pines and a sea of clouds. Cable cars make the hiking easier and more enjoyable. 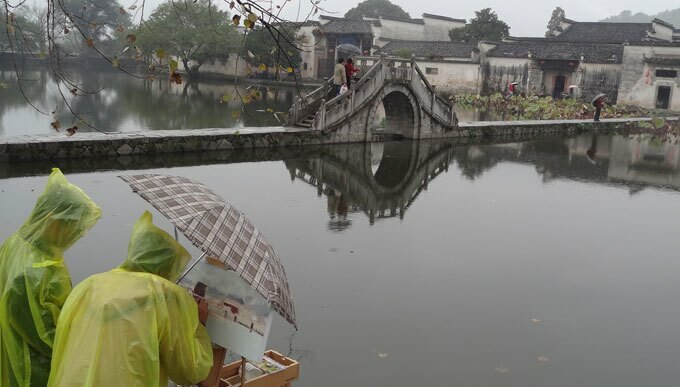 A visit to Hongcun Village will bring you back to the Ming and Qing Dynasties (1368-1911) where are filled with ancient Hui buildings and old alleys. Upon your arrival at the train station in Huangshan, your guide is already waiting for you in the arriving hall holding the board with your name on it. Your private driver will be happy to help you put away your luggage. What you need to do is sitting back and relaxing in the car. Feel free to tell us if you arrive in Huanghan by plane. 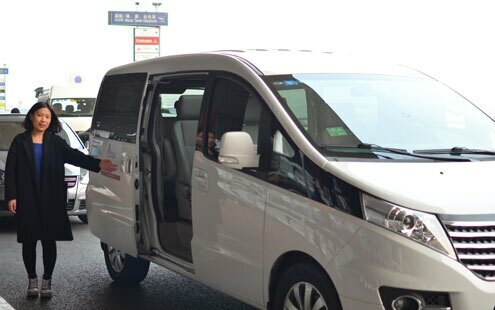 It is also doable for us to pick you up at the airport in Huangshan. 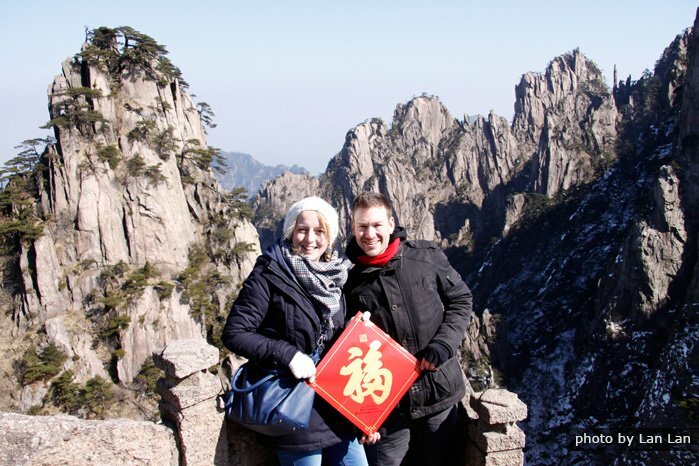 Your guide will help you check in the hotel in the downtown Huangshan City and provide information you need. The rest of the day is on your own arrangement. Next you will enter Hongcun Village. It is a place that people believe revealing what an ancient China really is. With a history of more than 800 years, its antique buildings in Hui-style attract many photographers and artists to shoot and draw. The last stop is Tunxi Ancient Street, which is an hour drive away from the village. The street is also standing with old buildings but more visitors go there for local specialties and trying local food. At the end of the tour, your guide will accompany you to the airport or the train station with your luggage. He will walk you to the Security Point and ensure everything go smooth before saying goodbye. It takes about 10 minutes to drive from Hongcun Village to Nanping Village, where is renowned for its bamboo crafts. An experienced craft man in Nanping Village is ready to help you make your own arts of bamboo. The activity is highly recommended if you travel with your children. Please inquire of your travel advisor if you are interested in it. Today comes the big highlight. You will head to climb up the mountain and stay overnight on the mountain. It is about an-hour driving time away from downtown Huangshan City to the foot of the mountain. Round-trip cable cars are included, which is about 10 minutes for a single way, ascending you to starting point of the mountain sightseeing. Your guide, spending 300 days per year on the mountain, is carefully chosen for you. He will tailor the hiking route for your group basing on different situations. 3. Explore the West Sea Grand Canyon, taking around 3 hours in total, which is one of highlights of the mountains. The complete exploration includes the 1st ring, 2nd ring and the bottom of the canyon. Your guide will give you useful suggestions and help you group to maximize your enjoyment according to your health and energy. For beginners, kids and senior travelers: Getting to the 1st ring and then getting back (2 hours). Then go to Cloud-dispelling Pavilion to enjoy the sunset, which is about 30 minutes walking distance away from your hotel. For energetic travelers: Continue on going further to cover 2nd ring before returning (2 1/2 hours). If time enough, you can try to move forward to the Flying-over Rock and see the sunset at Bright Top, one of the best points to enjoy the sunset or sunrise. It is around 40 minutes walking distance between Bright Top and the hotel. 1. Tricks to save your energy. The whole hiking trip extends to some very narrow and steep sections, which may be a big challenge to the knees. In such situation, you can consider taking a monorail operating between the bottom of the West Sea Grand Canyon and main peak areas on the mountains. It costs CNY 80(USD $13) and takes 5 minutes. 2. Take the necessities on the mountain only. Your guide will remind you of storing your main luggage in the downtown hotel, which can be collected on your way back. Luggage storage service is also provided at the foot of the Yellow Mountains and each piece costs CNY 20(USD $4). If weather and strength permit, it would be nice to get up early and shoot the spectacular sunrise at Refreshing Terrace. Actually it is one of the top reasons attracting numerous travelers. After finishing the breakfast in the hotel, you will continue on the hiking trip from Lion Peak for the Dawn Pavilion, Stone Monkey Watching the Sea and various pines on the roadside. If interested, you can even try to go up to Beginning-to-Believe Peak and get a glimpse of the Mushroom Pavilion. You will be transferred to the Huangshan North Station or airport to catch your train or flight to Shanghai or your next destination.